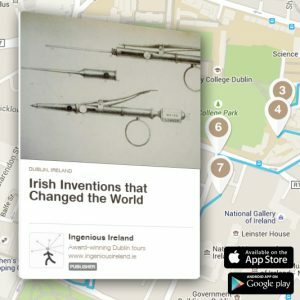 This 90-minute self-guided walking tour of Dublin is packed with stories from the history of Irish science, complete with elephants and earthquakes, and even Alan Turing’s favourite song. 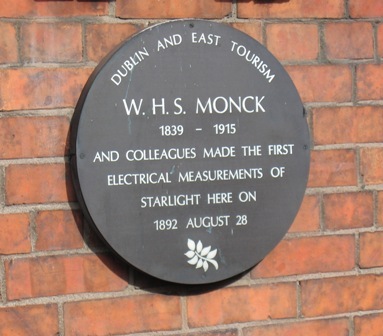 Meet the archbishop who calculated the date of the Creation, the geologist who invented the first effective radiotherapy for cancer, and William Rowan Hamilton’s Dublin algebra that helped to land a man on the Moon. 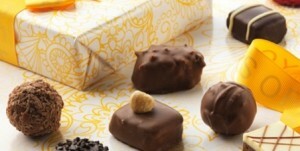 Because milk chocolate was invented an Irish doctor, you get 10% off at Butlers Chocolates. New! 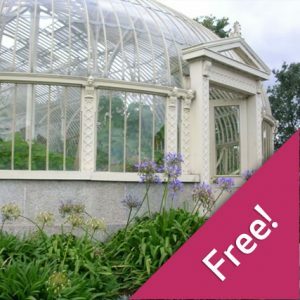 A free activity trail for young explorers, to make this a great family outing. 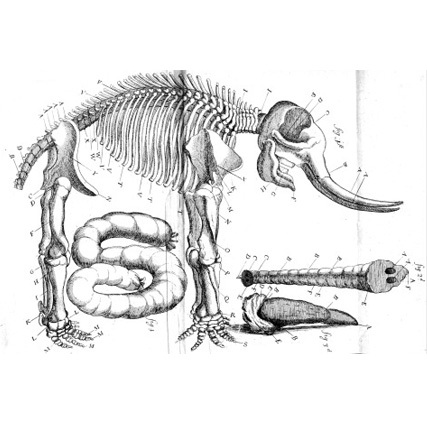 Take the tour on a weekday, and you can visit some hidden treasures, including a gem of a geology museum in an attic, and the steam turbine that made the 20th century possible. 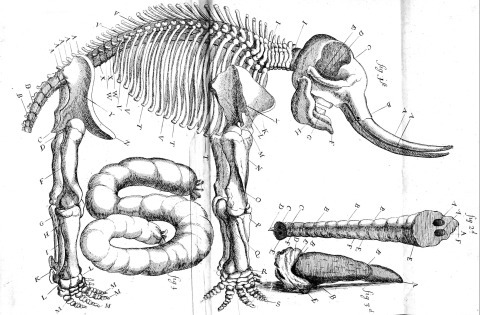 Other amazing stories you’ll hear are how Dublin city dissected an elephant in 1681, and how the modern science of studying earthquakes began on Killiney beach in the 1840s with Robert Mallet. 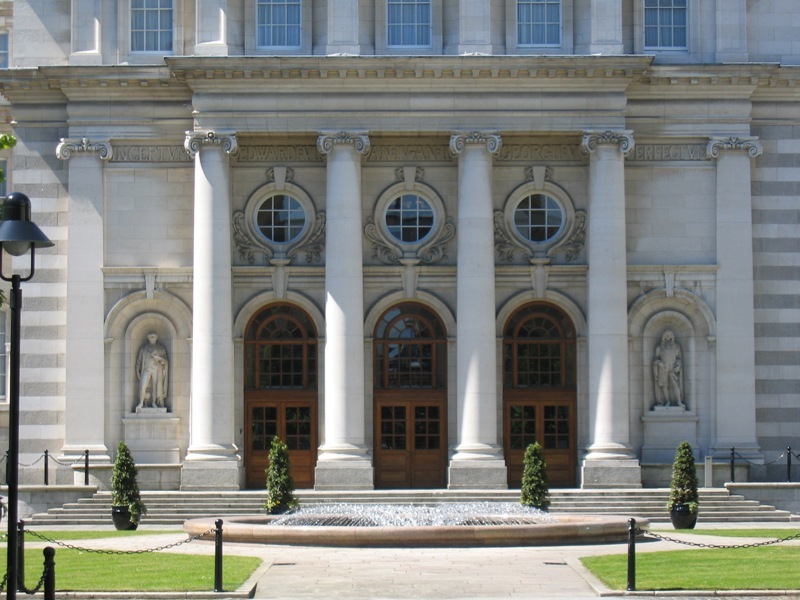 The MP3 tour starts in Ireland’s most ingenious quarter, at Trinity College Dublin, and ends at Earlsfort Terrace. Allow a good 90-minutes for the tour. There are 12 stops along the way. Click to download the free PDF colour map, track list and images, especially if you are buying the smartphone edition (the MP3 album includes the PDF). The music for our tours of scientific Dublin is Alan Turing‘s favourite song, Molly Malone. Turing was a famous British mathematician and computer scientist, and his mother was Irish, making Molly Malone perfect for our geek’s guide to Dublin. It’s performed on our audio tours by Dublin musician Gary O’Connor. For more information about the visitor centres we pass and the scientists featured: download our audio guided science safari around TCD <> the lovely TCD Geology Museum Mon-Fri 10am-4pm <> Parsons Building, TCD Engineering, Mon-Fri 9am-5pm <> Dunsink Observatory public open nights 1st & 3rd Wed of each month Oct-March • Broome Bridge, Cabra, with Quaternions by the Royal Canal, our free podcast tour <> the annual Robert Boyle science summer school in his birthplace, Lismore, Co Waterford <> Government Buildings, free tours Saturdays by ticket <> Butler’s Cafe Grafton St. The MP3 track usually streams in your player; to download the track, you may need a download manager, such as the MyMedia free app. (Note, we are not necessarily recommending this app, and cannot be responsible for 3rd party software.) We recommend downloading our audio tours over WIFI to avoid data roaming charges.